The flying novena was said to be a special, powerful prayer of St. Teresa of Calcutta (Mother Teresa). She would, as the story goes, say nine Memorare Prayers in a row for urgent prayers, with confidence that God would answer according to His will. Mother Teresa has long been an important and ever-present figure in my life, my sister Saint so to say. Her faith, confidence, and sacrificial love even amid the darkest of nights is an inspiration to unite all with Christ. 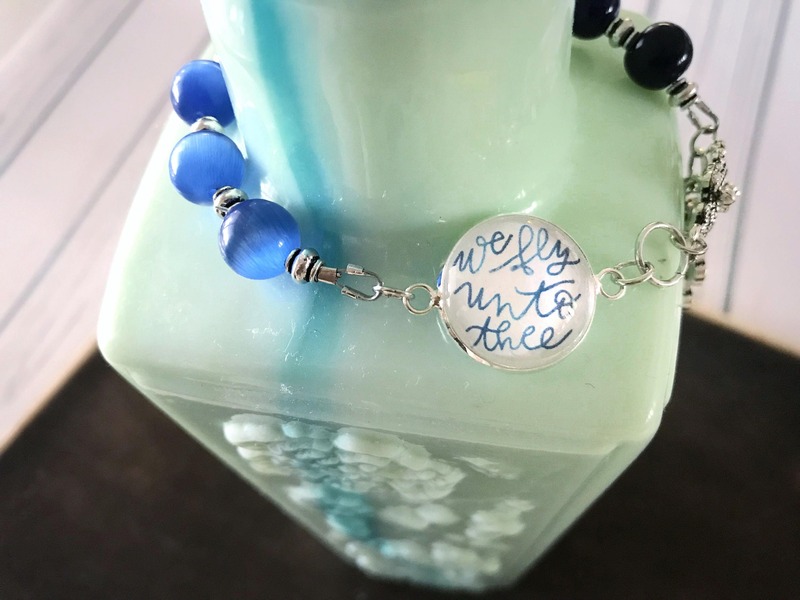 This novena bracelet is made up of nine larger beads (3 glass beads, 3 lava stone/diffuser beads, and 3 dark ceramic beads) separated by small silver beads, and features a handlettered cabochon reminding you to fly to Mama Mary with your cares and concerns and together approach the heart of Jesus. 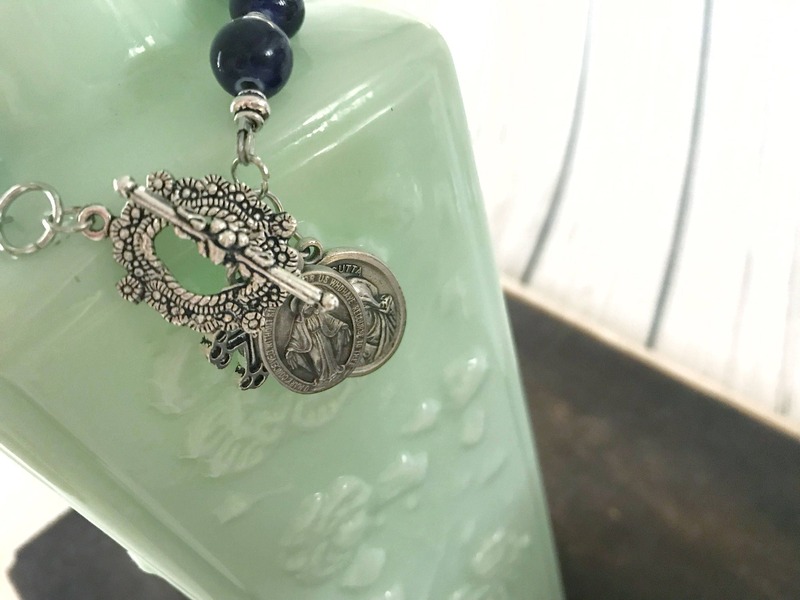 It comes with a toggle clasp for a simple on-off to make praying with the bracelet easier. 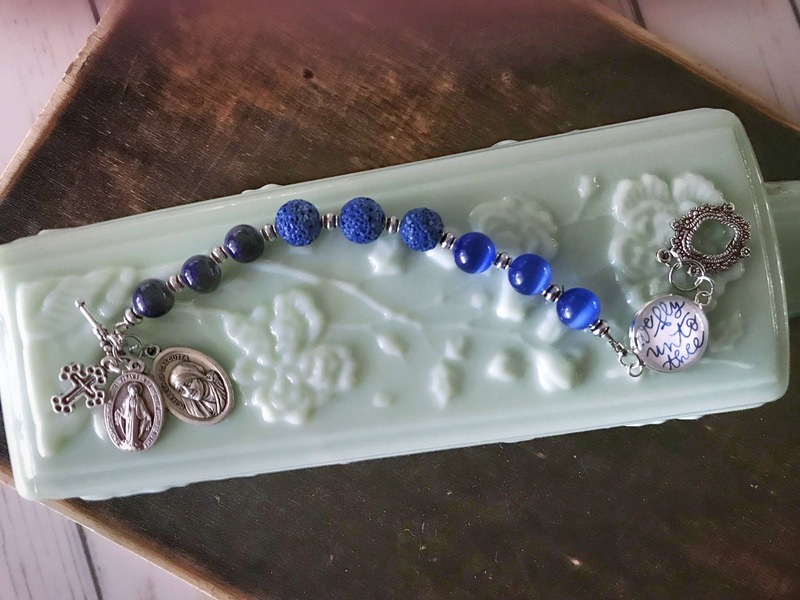 Each piece is handmade with love and prayers, so please allow for some minor variations.